Welcome to the online home of the Windy City Seminoles — Chicago’s official Florida State alumni club.  Although everyone is welcome to join the fun, an annual membership with the school’s Alumni Association earns you membership with the Windy City Seminoles and all the benefits that come with it. Occupation: Owner and publisher of TheRealChicago.com, a quarterly entertainment magazine in the city Graduated:Classified (OK, if you must know, 1999) Fondest FSU memory:Serving as the sports editor of the FSView, which meant getting daily access to Bobby Bowden and the team during a dominating run. Plus, being able to get friends and family on the field at Doak during games was a nice bonus. Favorite Chicago restaurant or bar (and why): Gene & Georgetti's or Gibsons. They both represent classic, old-school Chicago, and offer up the best steaks you'll find anywhere. Quartino is pretty awesome for Italian-style tapas too. And for drinks, any quality rooftop (Cindy's, Fountainhead) or beer garden (Kaiser Tiger, Parson's, Sheffield's, etc.) that provides an escape from the city. Fondest FSU memory: Palace Saloon on Thursday nights. Fondest FSU memory: It’s impossible to pick one, but slip & sliding on Landis Green the first night of freshman summer session C and an impromptu flag football game in Doak the night of graduation were the perfect way to start and end my time in Tallahassee. seafood spot with a delicious menu; nautical vibe. It’s perfect place to escape Chicago winters and get your seafood fix! Every FSU football game, I can proudly say that I never missed a home game! One of the best one was senior year when we beat Florida at home. There are so many! RPM Italian is fabulous. West Loop Parlor Pizza is down the street from me, I go there for the patio and the pizza. You can find me at Country Club every Saturday in the fall watching FSU football! Go Noles! Fondest FSU memory:Watching FSU won the 2013 National Championship game and celebrating with the entire school. Also my summer studying abroad in Switzerland. Favorite Chicago restaurant or bar (and why):Township! It opened my senior year which was an awesome way to end my time at Florida State. Fondest FSU memory: Working for classroom support at FSU allowed me to ride golf carts around campus and let myself into HCB to play Wii Tennis and Bowling on 100 foot projection screens. And tailgating. Favorite Chicago restaurant or bar: Monsignor Murphy's - first bar I had a drink at when I moved to Chicago and met a lot of good people that I'm still friends with 10 years later. Occupation: Account Executive, I sell speech recognition software to radiologists. Graduated: 2002, BS Computer Science. Fondest FSU memory: My first Gator game (1998) - It's always special when FSU beats the Gators and doing it with a backup QB made it all the more sweeter! Favorite Chicago restaurant or bar: Longman & Eagle - Just try the burger and add a fried duck egg to it; it'll be your favorite restaurant, too! Fondest FSU memory: Winning the National Championship senior year! Favorite Chicago restaurant or bar (and why): Three Dots and a Dash, because it's Chicago's best Tiki Bar and reminds me of Florida! Favorite Chicago restaurant or bar: I cannot decide! There are so many options but if I had to pick ONE place it would be Velvet Taco!